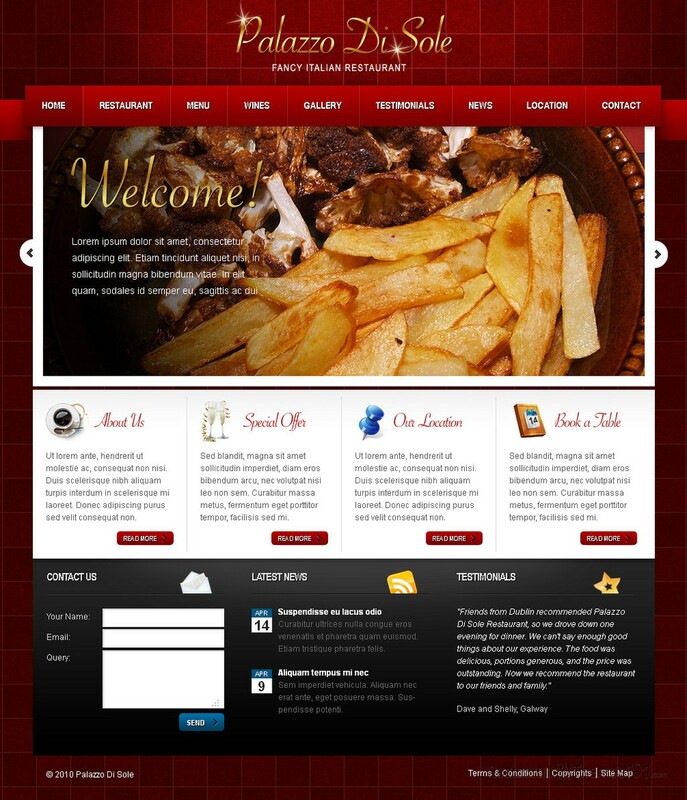 Palazzo Di Sole is a HTML template for Italian restaurants featured at ThemeForest. 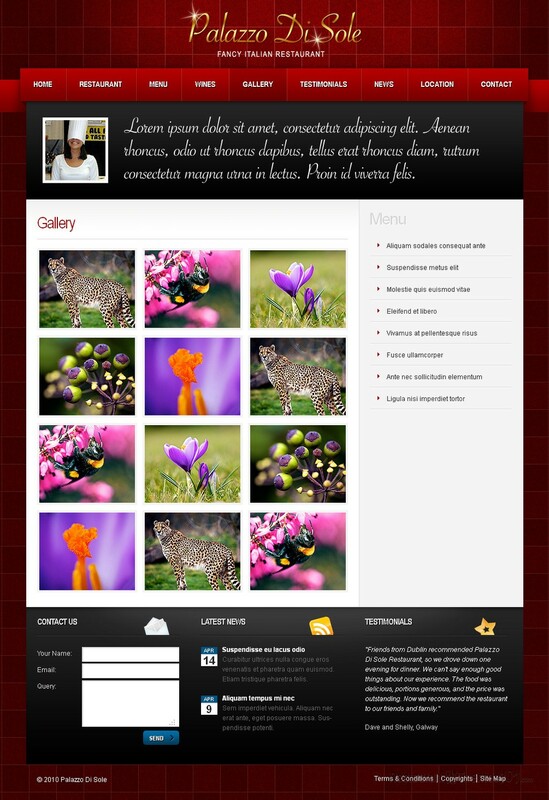 It was developed by cr3ate as a fully functional, easily customizable template. This amazing template brings a clear code and it is neatly organized in PSD file sets, making it very easy for customization, even if you aren’t a HTML expert. It features numerous options and a lovely looking layout. Palazzo Di Sole was created to fit any fancy Italian restaurant perfectly. The colors of this template are rich red and white with black elements and a classy looking background pattern. It features a nice choice of fonts with carefully chosen colors, so all the elements complement each other. A wide slider on the homepage allows you to place quality photos of you restaurant or your delicacies and have them attract all the attention needed, and keep it on the most important thing: your delicious food and pretty restaurant. 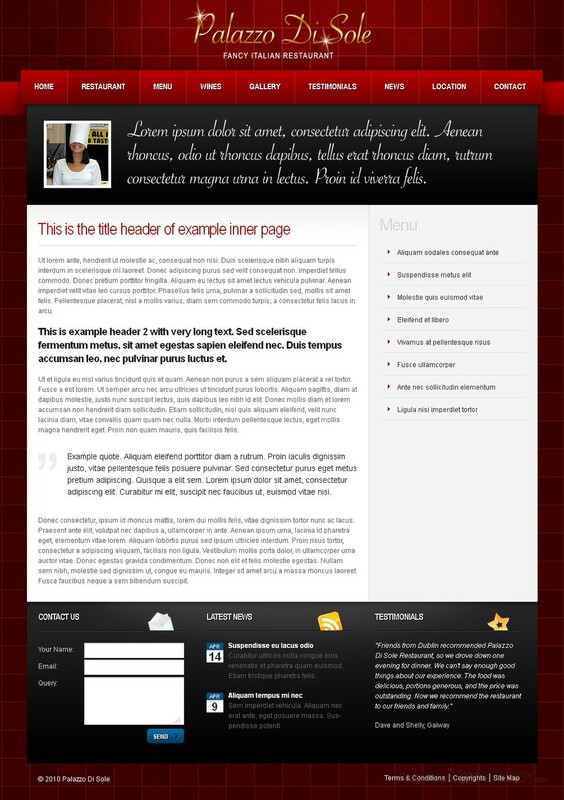 You will be able to feature all of your most important elements on the homepage. 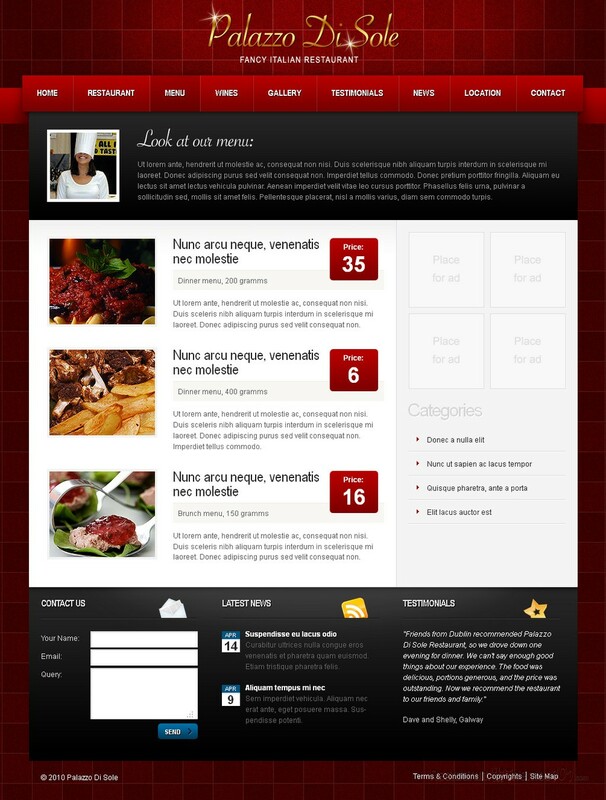 The “about us” section is here to make it possible for you to introduce your restaurant to your visitors in detail. Featuring your special offers will catch the eye of your readers, and you can add some introduction text to tease the imagination of your guests. They will be able to see get your exact location and make reservations also. All of these elements featured will have a “read more” button which will take your visitors to the right pages upon clicking it. 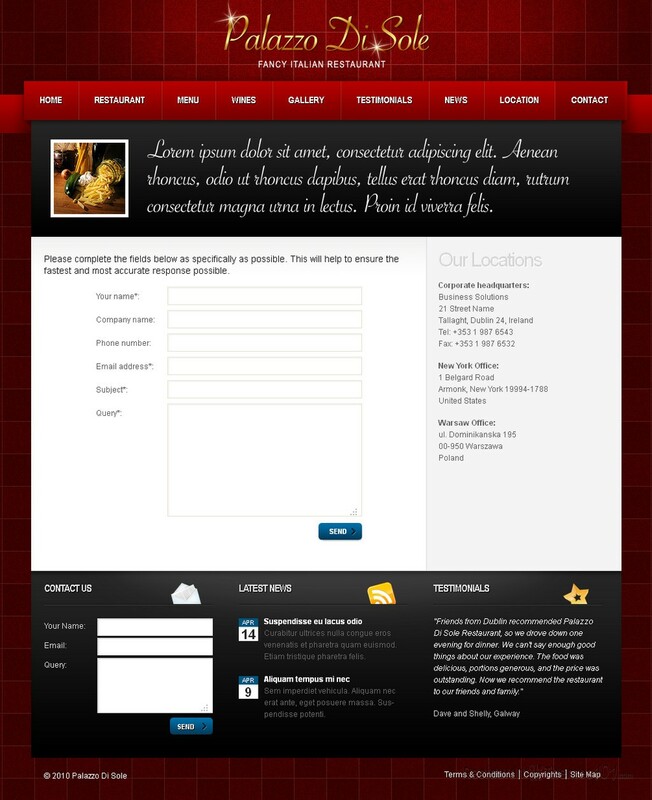 A working contact form is added to the template for quicker and easier interaction with your customers. It is simple and completely functional. Your latest news can be displayed on your homepage also, and the testimonials of your satisfied customers can be presented for everyone to see. Palazzo Di Sole is an Italian restaurant HTML template with many customization possibilities and an extreme ease of use, even for non-professionals. 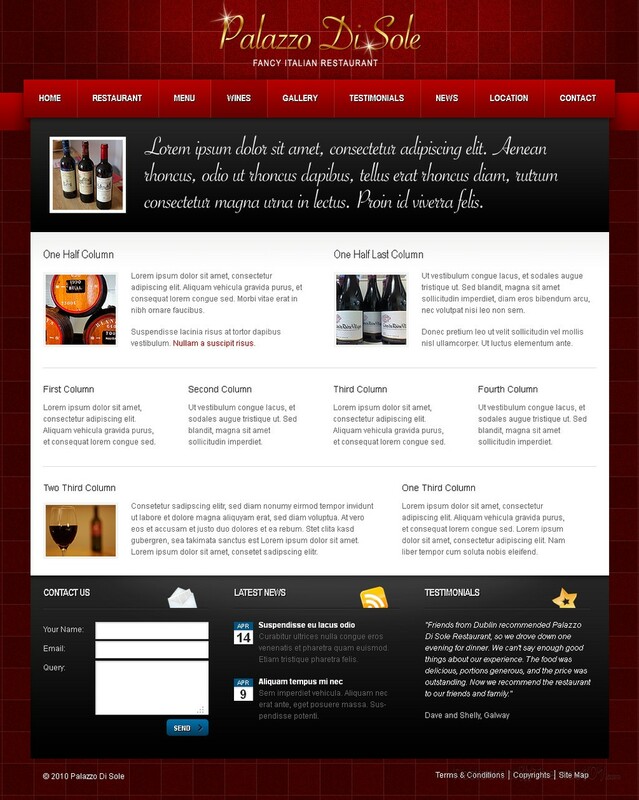 Besides this HTML template you can buy Palazzo Di Sole also as a WordPress restaurant theme.